Book After Work is a series of inspiration nights for pedagogues in Stockholm, arranged by reading promoting project Barn&Böcker (Children&Books). 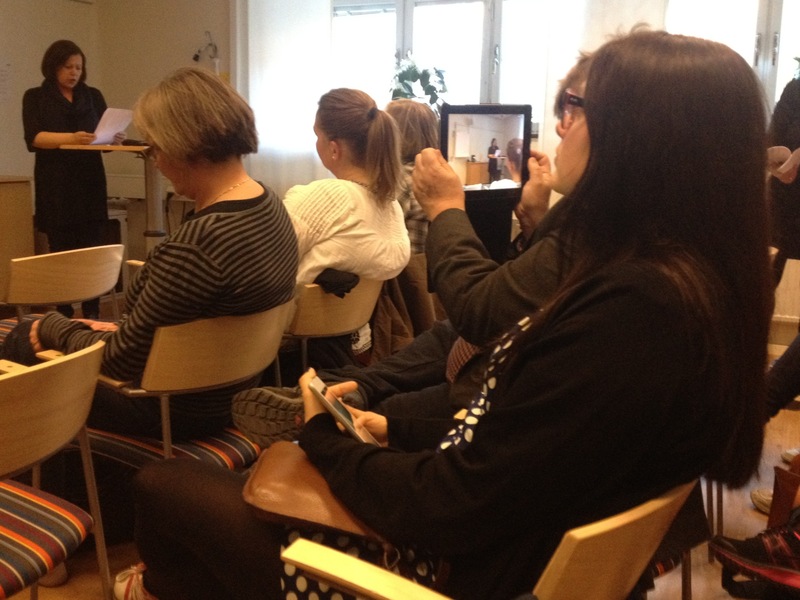 Yesterday it was time for the Stockholm teachers to get an introduction to Isol’s artistry by Elina Druker, member of the ALMA jury. Elina spoke about Isol as a young, brave artistic voice and showed examples of Isol’s humour, how she captures the absurdities of the adult world and uses the picturebook medium to deal with the grand, important matters of life. Barn&Böcker is a collaboration between the Education Department of Stockholm City Council, Stockholm City Library, Skansen, and the Astrid Lindgren Memorial Award. – Meeting the Swedish audience has been absolutely fantastic. 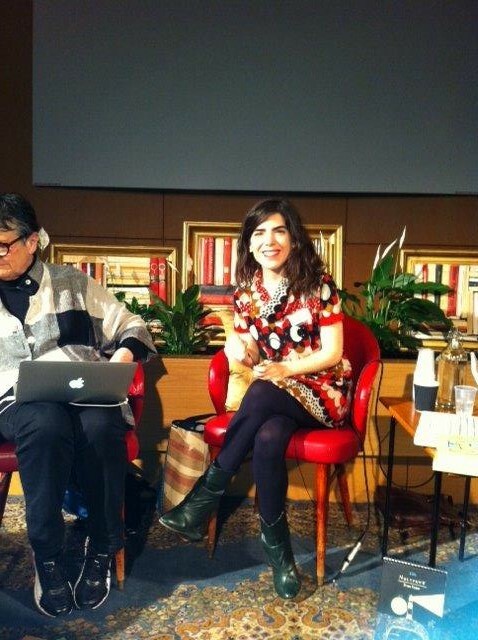 I can´t wait to visit Stockholm in May, says the recipient of 2013 Astrid Lindgren Memorial Award recipient Isol, who participated in the Swedish literary festival LitteraLund last week. The program for this year’s award week is intense. – By then I hope to have books in Swedish and it will be very interesting for me to see the reaction from Swedish reader. It’s all very exiting! Workshop with children at Kulturhuset (House of Culture) in Stockholm. Kulturhuset invites school classes in various grades, and the large Auditorium is transformed into a large creative workshop led by Isol. Meeting with the Swedish Academy of Children’s Books. 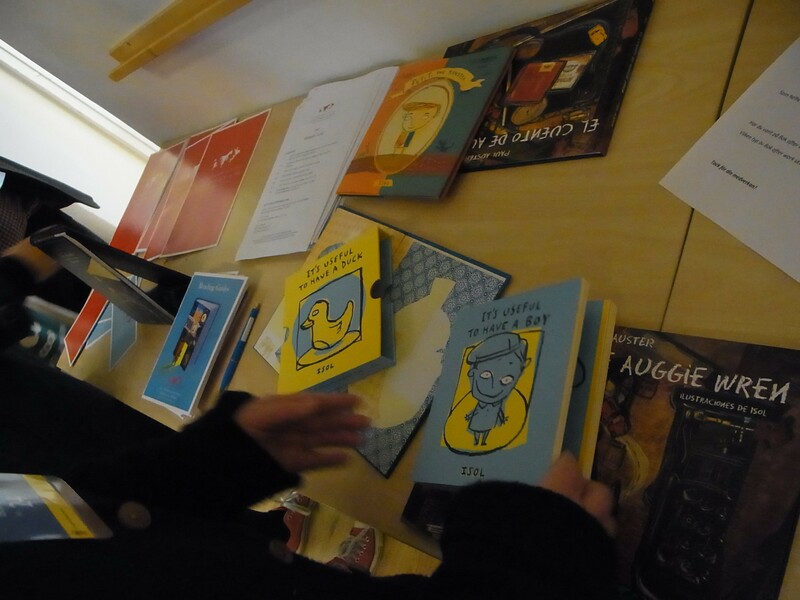 Participation at the opening of the reading promotion project Barn&Böcker (Children&Books) at Skansen in Stockholm. Isol awards winning school classes in the contest “A world class book”. Award lecture at Kulturhuset (House of Culture). Open to all, admission free. Presentation and lecture at the Deutsche Jugendbibliothek in München, Germany. Open to all. Participation in a seminar at the cultural centre Astrid Lindgren’s Näs in Vimmerby. Award ceremony at the Stockholm Concert Hall. H.R. H. Crown Princess Victoria presents the award. 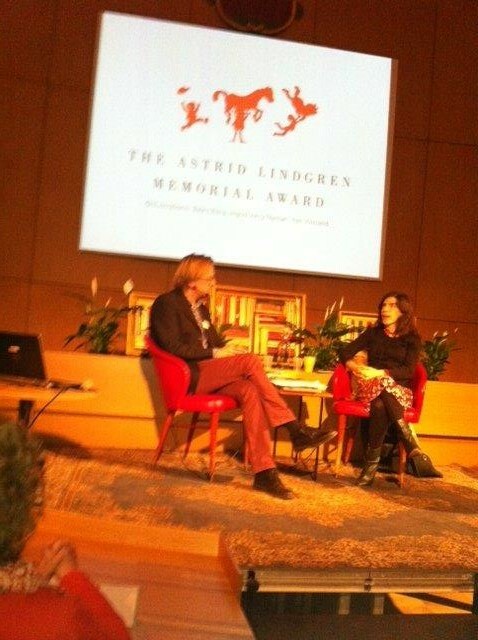 Here´s images from today´s acitivties at LitteraLund; a conversation with writer and ALMA jury member Mats Kempe about the Astrid Lindgren Memorial Award and the effects of the award. I’m very happy to be here in Lund, the festival gives me a wonderful opportunity to meet colleagues from other countries and to discuss common issues. And of cours I’m lookging forward to coming back in May for the award week. By then I hope to have books in Swedish and it will be very interesting for me to see the reaction from Swedish readers. It’s all very exiting! 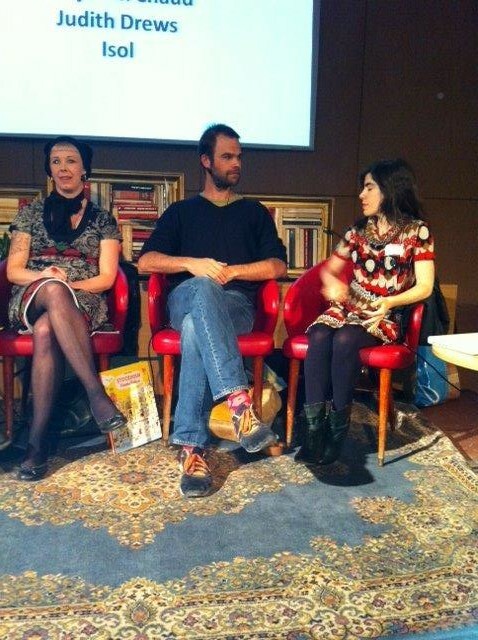 On the second day of the literary festival LitteraLund Isol took part in a discussion with illustrators Judith Drews (Germany) and Benjamin Chaud (France). Differences, similarities and preferences concerning topics and colours were discussed. One thing they all agreed on is that humour is a very effective way to deal with serious topics. But can you joke about everything in childrens’s books? Yes almost. And a tabu in one country may not be necessarry cause any scandals among readers in another. More scandalous is pehaps editors and publishes attempt to change colours or formats … Changing techniques and formats is the same thing as changing the artist’s interpretation. She is here. In Sweden. But not to receive the Astrid Lindgren Memorial Award, but to participate in the Swedish literary festival LitteraLund, April 15-20. 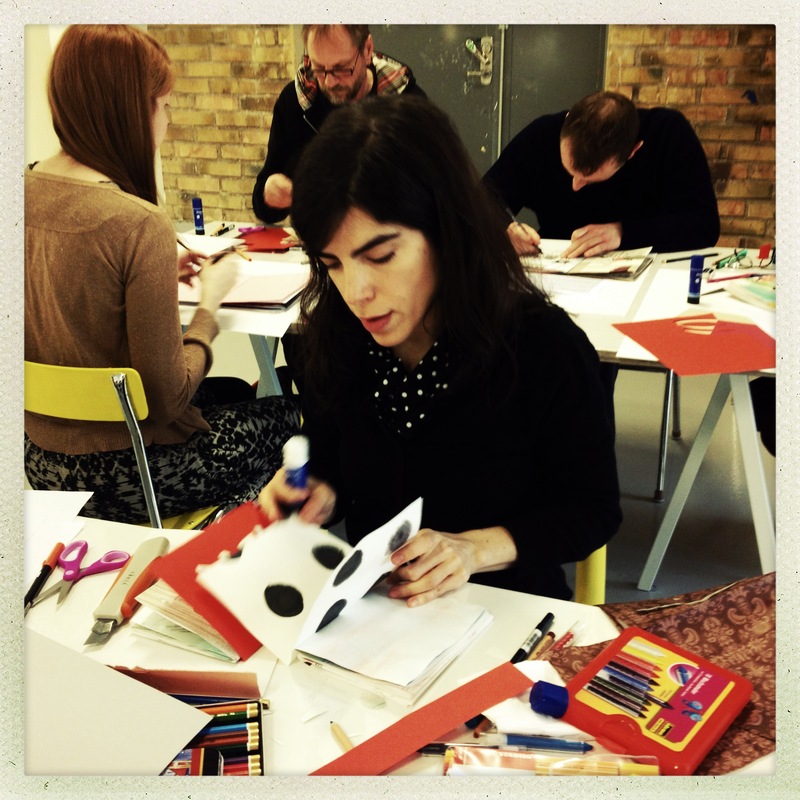 The first days of the festival, Isol leads a workshop for fourteen active Swedish illustrators and graphic designers together with Benjamin Chaud from France and Lilian Brøgger from Denmark. The project is a co-operation between LitteraLund and the Creative Plot in Lund, and the two day workshop will end with an exhibition of the student’s works. – It feels amazing to have the privilege of having these talented illustrators gathered in one place to work together, says Debora Voges, director of the Creative Plot. It will be incredibly exciting to see the results! During the following week, Isol will participate in three seminars on children’s and young adult literature: with Ulla Rhedin, researcher and member of the ALMA jury, with her international colleagues Benjamin Chaud (France) and Judith Drews (Germany) and with writer and jury member Mats Kempe and ward office director Helen Sigeland. 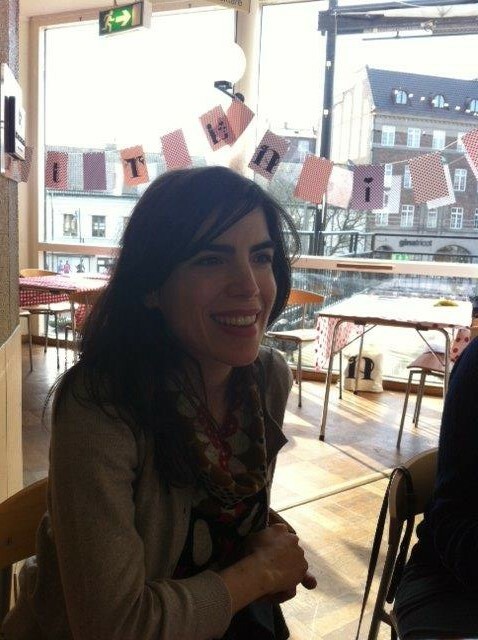 On Friday, she will lead a workshop for eight-year-olds from the county of Lund. Link to the entire program here. Boring books are not allowed! Cover of Mi cuerpo y yo. 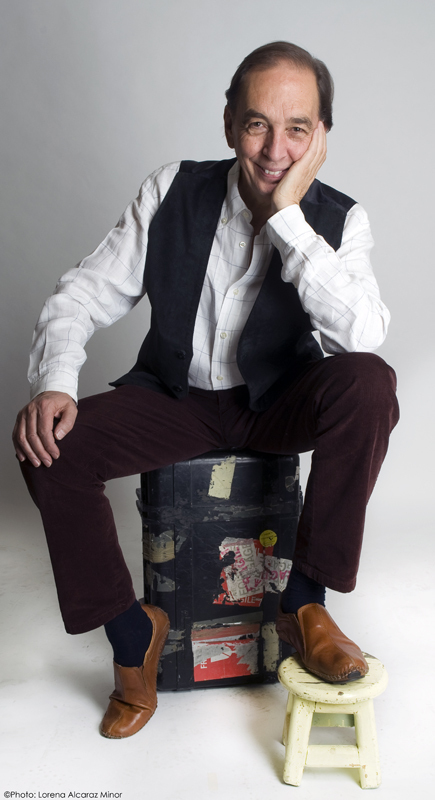 The German playwright and poet Bertold Brecht wrote that the first duty of theater is to entertain. I think that under Isol’s aesthetics lies a similar saying: Boring books are not allowed! On that basis she builds the rest: sharp themes and treatments, technical invention, unforgettable characters and atmospheres. And something very unusual in picture books: Isol has an enormous capacity to make visible the psychology of the characters. They don’t look all alike, each one has its own personality, intentions, particular moods. The first book by Isol that arrived to my hand was Cosas que pasan. To read it was a fiesta! 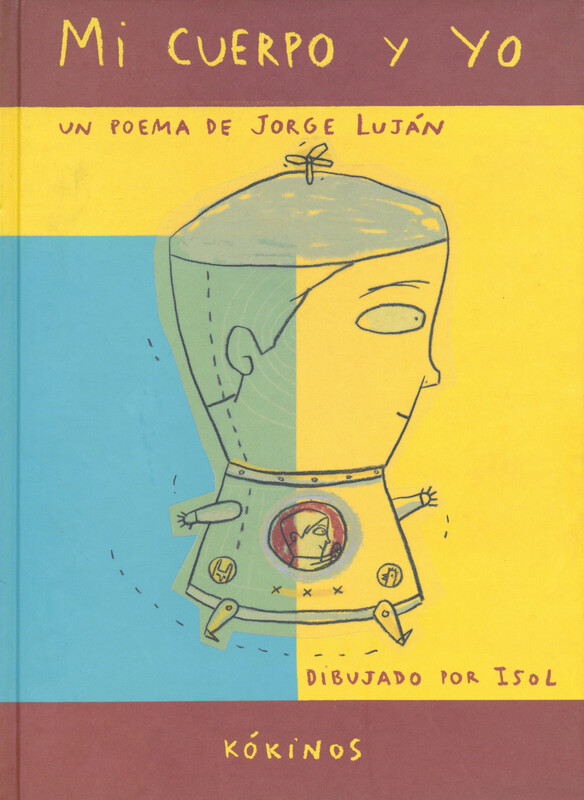 Impressed by its humor and freshness I sent to her an envelope containing texts of the comic Equis y Zeta (based on the sayings of my son and daughter when they were kids) and a selection of my poems. I asked her if she would like to illustrate them and her enthusiastic answer was the beginning of a long friendship and the start of a creative collaboration in which her talent has been has been reveald to me: a mixture of reflexion and emotion, intelligence and intuition. Since then, we have published six books as co-authors and we enjoy meeting frequently to talk about our projects with respect, warmness and complete sincerity. 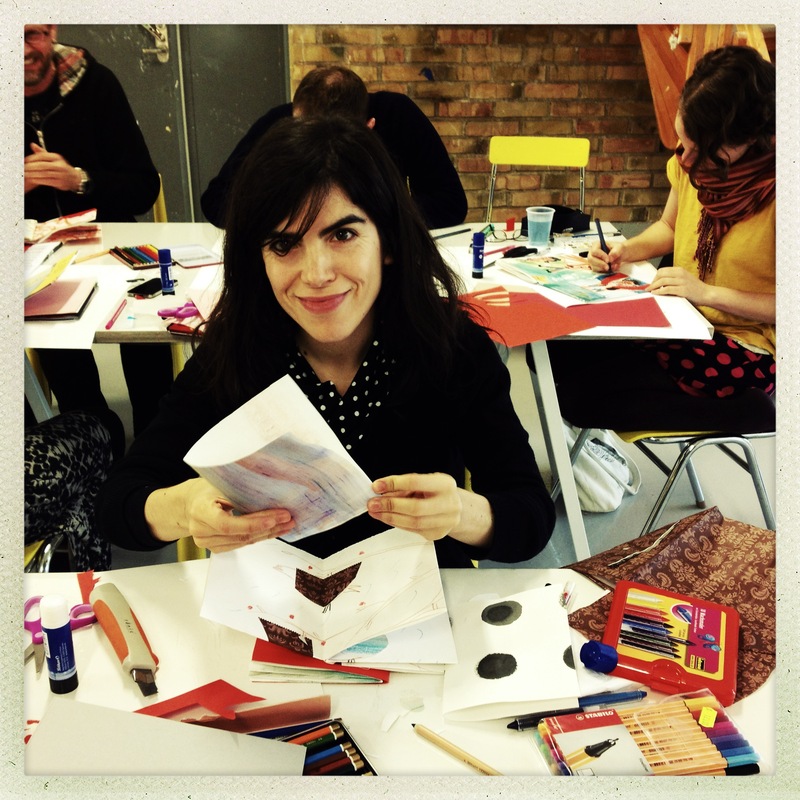 Isol’s work recreates children’s thoughts and aims, in a way she reinvents childhood. Reading her books makes us understand that children have a complex and richer universe than those presented in the majority of books addressed to them. Her work could be inserted within a literature “also for children” as Michel Tournier sagely proposed. As a consequence, her books can be enjoyed by different ages and it is a pleasure to read them in family. ‘Only I can decide to illustrate the soul!’, said one day Isol when we were starting the creation of Mi cuerpo y yo, a poem she had chosen among several that I’d sent her. It was a risk, a decision for the unusual, but a common one for Isol’s artistic spirit that mingles humor, rare tenderness and shocking impulses. 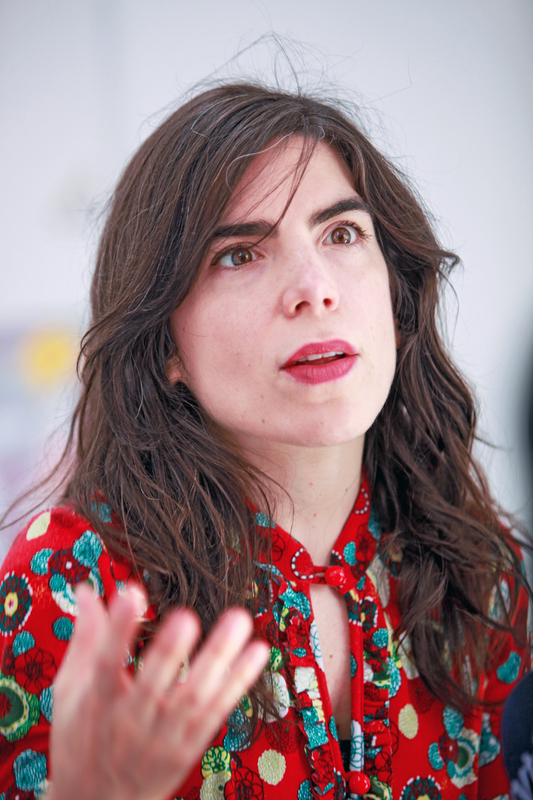 Considered too experimental and conceptual, Mi cuerpo y yo was initially rejected by some of the most important Latino American publishers, and it was first published in French (Éditions du Rouerge, 2003), a decisive fact that opened the doors of Europe for us and, paradoxically, also the doors on this side of the Atlantic. Let’s celebrate Isol receiving the prestigious Astrid Lindgren Memorial Award and let’s price reading as a playful as well as a transforming experience. All of us at the Banco del Libro, received with enthusiasm the news that our endearing Isol were given this year’s Astrid Lindgren Memorial Award. We have nominated her for several years now. Her works are an exceptional contribution to children’s literature all over the world, which with the graphical and textual content without doubt stimulates children’s imagination and encourages reflection. Her works always have a particularly critical and sarcastic view of the world around her. Undoubtedly, Isol’s way of creating irreverence aligns with the underlying character of Astrid Lindgren’s Pippi Longstocking which opens floodgates of multiple readings from the child’s perspective. For Isol the illustration is her instrument of creation. In the illustration, she says, the line becomes the voice, without neglecting the text that always strengthens the narrative. There are many ways to get to know Isol’s artistic works. For example, in the book Vida de perros the relationship of the child and the pet arises, and in Secreto de familia, acceptance of difference in a simple way is claimed, or in the disrespectful El Globo where a stiff mother is turned into a balloon. Other works like Tener un patito es útil invites new readers to get into a game of provocative and playful perspectives. In the book Nocturno, her latest creation, a poem that invokes sleep on every page is presented, which constitute a work of art on dreams for of all ages. Banco del Libro received the ALMA in 2007, more about their work here. 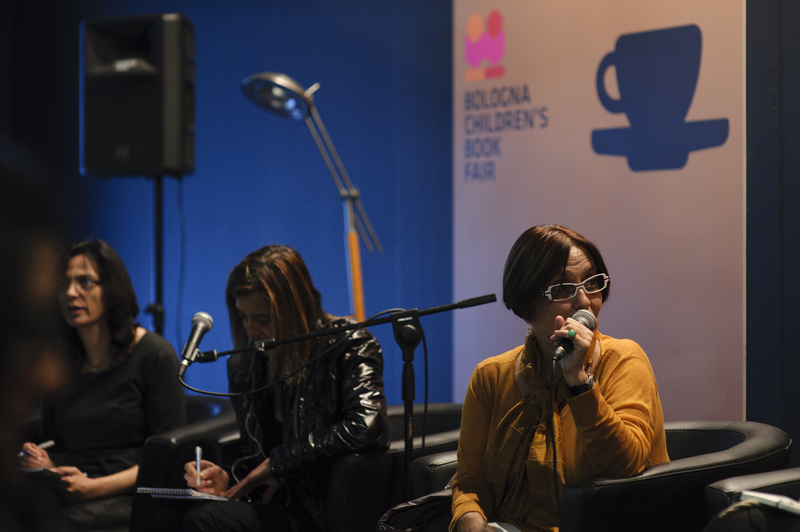 Maria Beatriz Medina (right) at the Bologna Children’s Book Fair 2012. Photo: Stefan Tell. Here are a few news clips published last week. Enjoy!